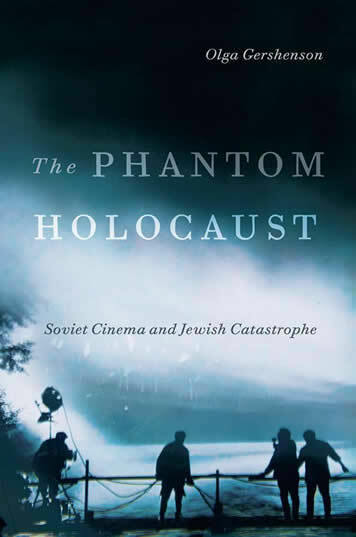 WELCOME to the companion site for The Phantom Holocaust: Soviet Cinema and Jewish Catastrophe. The book is about Soviet films that represented (or attempted to represent) the Holocaust. Most people assume the Soviets completely silenced the Holocaust. The picture was more complicated: several significant Holocaust films were made throughout the Soviet era. The problem is that most have been forgotten or are unknown, even to historians and film scholars. With rare exception, they are not available with English subtitles. The goal of this site is to bring back these films by featuring several key scenes. Along with film clips, this site offers discussion questions that educators can use to design lesson plans. The questions refer to both the film clips and corresponding book chapters. Whenever possible, information about the availability of films is included.